“La Liga is more competitive than ever, anyone can beat anyone,” Messi said after receiving the MVP award. 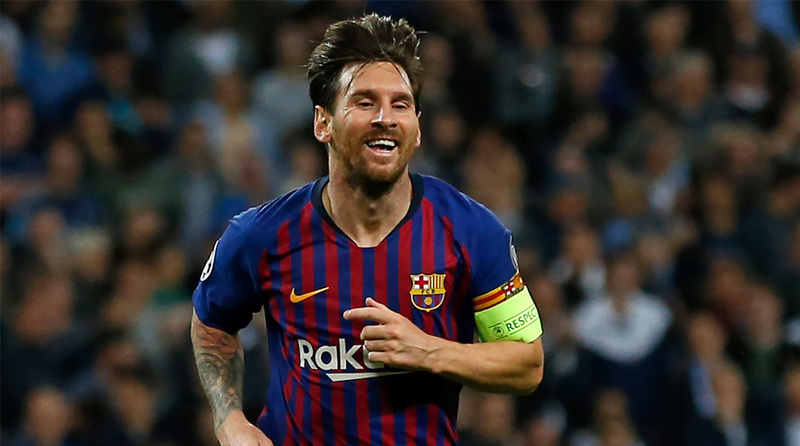 Barcelona captain Lionel Messi on Monday received La Liga’s top-scorer award, known as the “pichichi,” for his 34 goals in the 2017/2018 season, and was also chosen by fans as the most valuable player in the Spanish league. The Argentine superstar, 31, returned from injury on Sunday during Barcelona’s unexpected 4-3 loss to Real Betis, after a right arm fracture had kept him sidelined for three weeks, reports Efe. This was Messi’s fifth career pichichi, one fewer than Athletic Bilbao’s Spanish legend Telmo Zarra. Atletico Madrid goalkeeper Jan Oblak was awarded his third consecutive Zamora Trophy for best net minder last season, during which he conceded just 22 goals. The Miguel Muñoz Trophy for the best coach in La Liga was won by Valencia coach Marcelino Garcia Toral, his second career win.